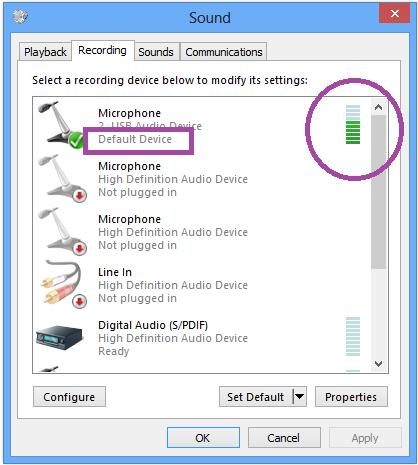 Uploading pre-produced audio recordings into Lync or Exchange can sometimes be a challenge. 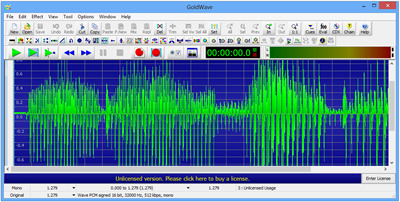 I’ve previously documented the audio file formats that Exchange and Lync require, and it’s relatively easy to reformat files with a digital audio editor like Adobe’s Audition or Goldwave. There are however a few circumstances where this isn’t possible – like setting the greetings in an Exchange UM-enabled mailbox. 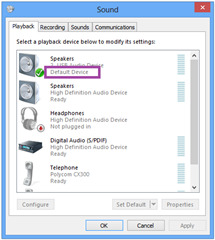 At other times you might not have a network connection, and an over-the-phone method is your only option (e.g. 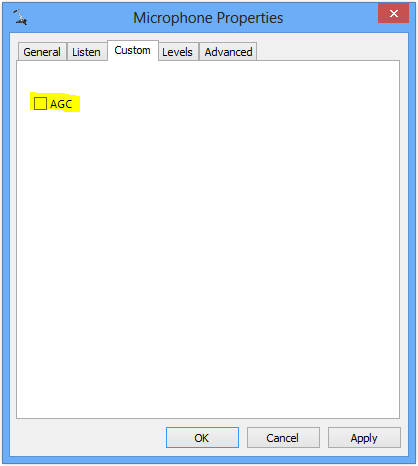 using Exchange’s Telephone User Interface – the TUI – to change an auto-attendant’s greetings). 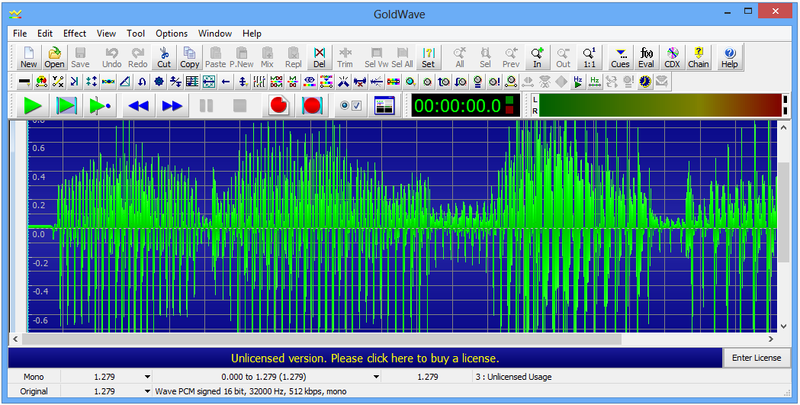 There are many ways of interfacing between your audio device and the phone lines. 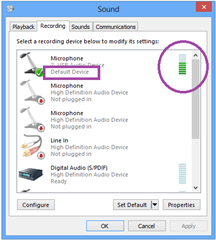 A not-uncommon kludge I’ve encountered in the field is to use a Music On Hold line isolation unit (LIU) in parallel with a phone, with the phone on handsfree and muted so that you can navigate the DTMF menus and hear that’s going on without any ambient or background noise leaking into the recording. 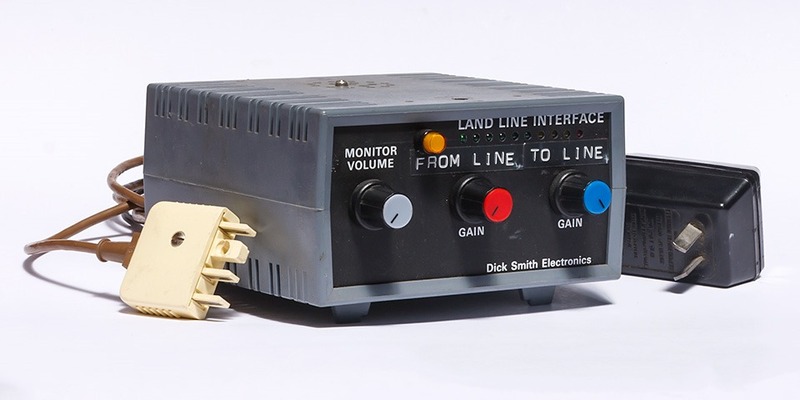 I’ve long had a soft-spot for my old ETI-734 “Landline interface”, but it requires an analog phone line, and they’re becoming harder to come by (and that’s probably a good thing!). 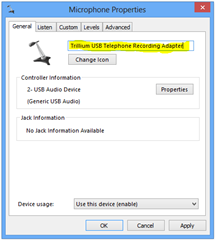 A colleague recently introduced me to the Trillium family of telephone recording adapters, and I splurged and invested in the “REC/A-ADPT-USB” you see pictured below. The Adapter sits in series with the phone’s curly cord, with the stubby black cable going into the phone. 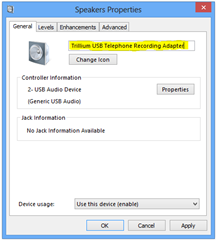 In my tests, it worked flawlessly with a Polycom VVX500, a Snom 710 and even an old USB CX300. The setup isn’t particularly complex. 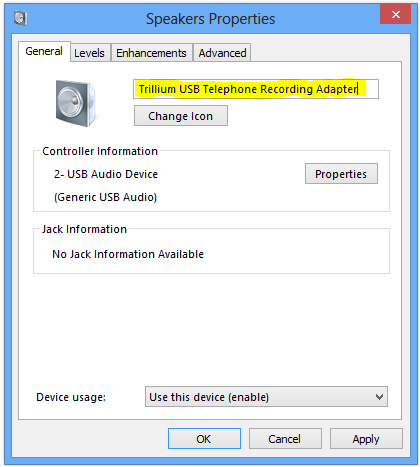 Plug it in to a spare USB port on your computer. 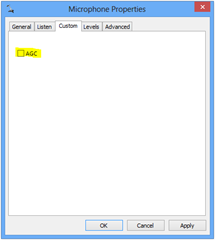 On my windows 8 PC it installed without needing any manual intervention. 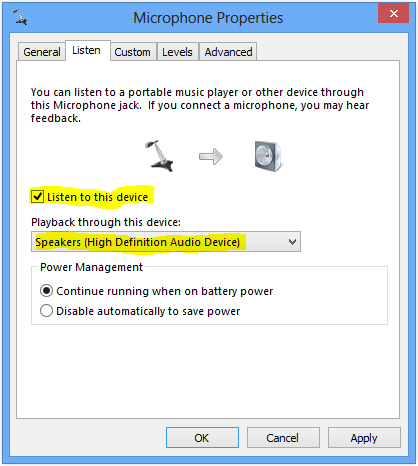 The downside of this however is that it installs itself as a generic sound device, and you may have problems trying to figure out which one it is later! 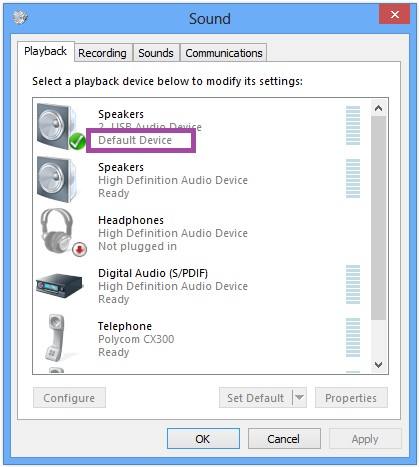 If you’ve clicked Apply by now, you may start to hear feedback – it’s the sound from the phone’s handset being relayed to your PC. 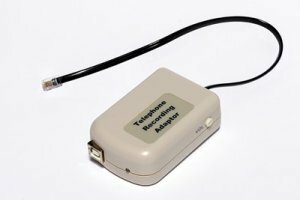 So now unplug the handset from the Adapter – we don’t need it any more – but leave it sitting in the cradle for the time being. 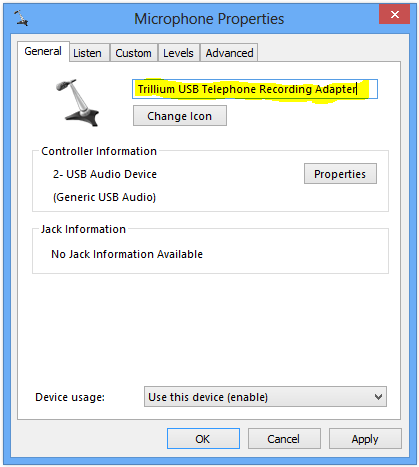 Trillium says the Adapter is compatible with “most telephones fitted with a modular handset cord”. I tested it with a Polycom VVX500, a Snom 710 and even an old USB CX300 and all worked flawlessly. If you’re at all worried, check their Compatibility Guide. I also found that the Headset port on my phones worked just as well, and in most cases wasn’t as hard to access. I sourced my adapter direct from Trillium in Melbourne, Australia, and it set me back AU$187 delivered, including GST. It carries the Aussie “A-tick” compliance mark, as well as CE certification for other markets. With thanks to Damo for the tip-off, and as always, ozRocky for the glossies.